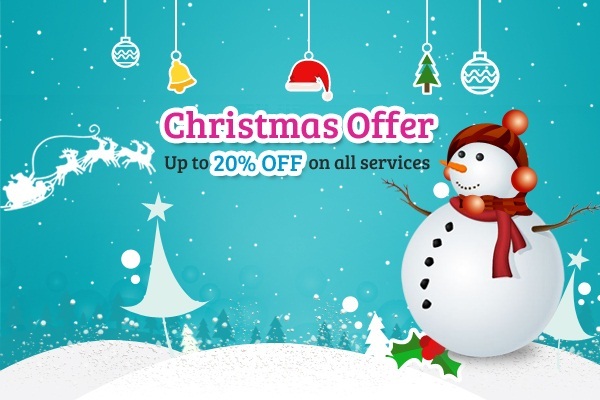 Christmas is in the air and WebGuru India brings attractive discounts on its range of services including website design, shopping cart, mobile app development, logo design, internet marketing and more. With an impressive discount of up to 20%, all our offerings are pocket friendly on budget yet high on service. It’s our 10th anniversary year and we want it to end on a happy note, leading way to the next era of accomplishment for our company. Make this carnival extra special with us at your service. The offer is valid for a limited time only. Avail now! Thanks for the update on your latest offer! Browsed through your site and found some really impressive offers on your services…. looking forward to grab one of them.